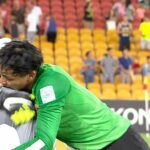 [I]n a soccer world that tries so hard to keep sport separate from politics, the AFC Asian Cup appears guaranteed to blend the two. From now until the end of the month, 16 teams will battle through group play and the knockout rounds in pursuit of a title, and while fans of the continental heavyweights will understandably focus on the results, for those who enjoy countless subplots and backstories, this competition can’t miss. This edition of the Asian Cup contains perhaps the most headline-grabbing litany of participants any tournament has seen in recent decades. The usual suspects, including Australia, South Korea and defending champions Japan, are still among the favorites to lift the trophy on Jan. 31. But the allure of this draw goes far beyond them into a list of teams that reads almost like a who’s who of controversy, complicated political relationships, difficult circumstances, or all three. There’s China, Iran and Iraq, but the eye is immediately drawn to three of the smallest contenders — North Korea, Qatar, and Palestine — who carry baggage that goes far beyond football. The North Korean team, not unlike the country’s head of state, has never been far from controversy. It was banned from the 2007 Asian Cup after North Korean immigration officials wouldn’t let the visiting Jordanian team into the country during qualification. And when they announced their 2010 World Cup squad, the North Koreans tried to disguise a striker as their third goalkeeper. Additionally, their female counterparts were banned from this summer’s World Cup after five members tested positive for steroids at the tournament in 2011. The squad is led by interim coach Jo Tong-sop, after Yun Jong-su was suspended one year by the AFC for offensive behavior during the Asian Games final against South Korea in October. North Korea is the lowest-ranked team in the tournament (№150) and lost their opener to heavily favored Uzbekistan 1–0 on Saturday, but with matches against Saudi Arabia and neighbors China to follow, an enticing Korean derby in the quarterfinals is still a possibility. Without 2010 star Jong Tae-se, the key to their success will be 22-year-old Pak Kwang-ryong, who nearly stole a draw late against the Uzbeks. [Q]uarterfinalists and hosts four years ago, Qatar will be looking to silence doubters amid increased scrutiny over its hosting of the 2022 World Cup and supposed lack of a footballing culture. Those doubts only grew louder after Qatar took a 4–1 thumping from the United Arab Emirates on Sunday, and the defending Gulf Cup of Nations champions will have to navigate a group full of Gulf countries (Iran and Bahrain are the others) to avoid embarrassment. Qatar has lured talent from other countries in Asia, Africa, and Latin America to their Qatar Stars League, naturalizing them into Qatari citizens and fielding them for the national team. With sky-high expectations over the next decade, anything short of a place in the last eight will be seen as a failure. To add controversy atop that pressure, Qatar has lured talent from other countries in Asia, Africa, and Latin America to their Qatar Stars League, naturalizing them into Qatari citizens and fielding them for the national team. With less than 300,000 of Qatar’s 1.8 million inhabitants possessing citizenship, this practice looks set to continue through 2022. The men in maroon enter this tournament after a hugely impressive 2014, where they upset Australia in October before winning the Gulf title the next month. In total, they lost just one match out of 19 for the year. Their star is winger Khalfan Ibrahim, who plies his trade for Al Sadd — a storied club that has twice won the AFC Champions League. Expectations are understandably high, and bouncing back from the opener to record a positive showing will silence at least one of the many criticisms levied against their World Cup bid (leaving more relevant issues like corruption, human rights, and severe weather). 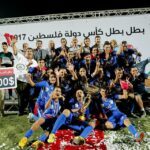 [B]ut of all 16 teams, the most remarkable story surely has to the Palestinians, who made their debut Monday against titleholders Japan in Newcastle. And while the Lions of Canaan suffered a heavy defeat, 4–0, their true victory lies in merely participating in a tournament of this level for the first time. That achievement was solidified during a dramatic qualifying run through the Asian Challenge Cup, which was decided on a curling free kick by Ashraf Nu’man in the final against the Philippines. This team, like the people it represents, has faced a mountain of challenges. Having only been recognized by FIFA and the AFC in 1998, the Palestinian team spent much of its history playing “home” matches in neighboring Arab states until 2008, when they hosted their first ever international match, in the West Bank. Having a chance to be represented at an international tournament is hugely significant for a people without a state, and to be seen in this context is to be seen as a country. Outside of footballing difficulties, the Palestinian players endure the same hardships that other Palestinians face, including restrictions on travel, both within the state of Israel and abroad. The most recent example of involves forward Sameh Marabaa, who last week was banned from traveling to Jordan for Palestine’s Asian Cup tune-up matches due to allegations that he is a member of Hamas — charges he has denied. Despite every effort by FIFA to disconnect sport and politics, the two are intertwined for the Palestinians. Marabaa is not the first first Palestinian player who has been barred from representing his country. Travel restrictions weakened the roster for this tournament, and back in 2007, the entire team was unable to obtain exit visas to play in the second leg of a World Cup qualifier against Singapore. 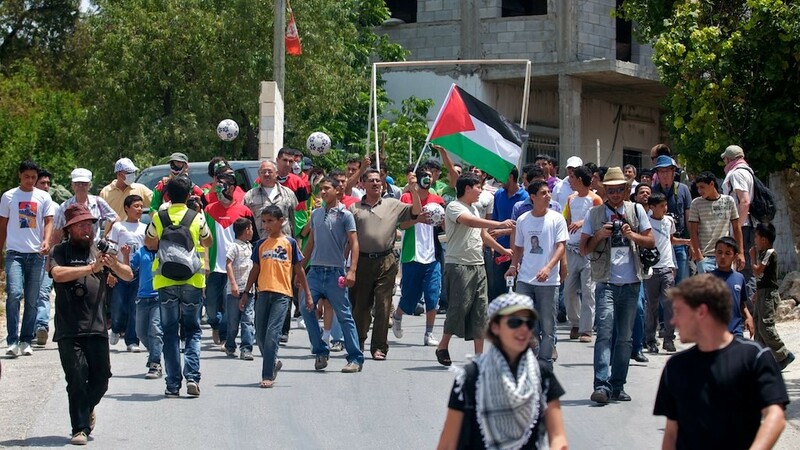 Moreover, several Palestinian footballers have died during violence related to the Israel-Palestine conflict. The national team is also split geographically, with the majority of its players coming from the West Bank league. Players from the Gaza Strip and its league face even more difficulties in leaving to join their compatriots on the other side of Israel. The political realities of Palestine will not be forgotten on the pitch in any of their three group stage matches. Having a chance to be represented at an international tournament is hugely significant for a people without a state, and to be seen in this context is to be seen as a country, even if the government of the host nation, Australia, does not recognize their existence. Palestine will next take on their neighbors, Jordan — the team they hosted in their first ever match on home soil — and 2007 champions Iraq. The Iraqis have had more than their share of domestic difficulties as well, with the rise of the Islamic State in the western half of the country, but they are still expected to join Japan in the next round (and won their opener 1–0 over Jordan). Palestine’s greatest achievement has already been made, but should a Cinderella run ensue, one can bet that the entire world will pay attention. 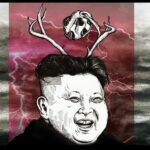 Thus far, the political intrigue of North Korea, Qatar, and Palestine hasn’t carried over into interesting soccer, but the tournament has already shown that surprises are in store. Only eight minutes into the opening match on Friday, Hussain Fadhel delivered the first stunning moment with a diving header that gave tiny Kuwait the lead against heavily favored hosts Australia. While the Socceroos eventually won 4–1, the unexpected start may foreshadow a remarkable month of soccer that appears likely to deliver drama on and off the field. Follow Devon Gray on Twitter @Devon_Gray.